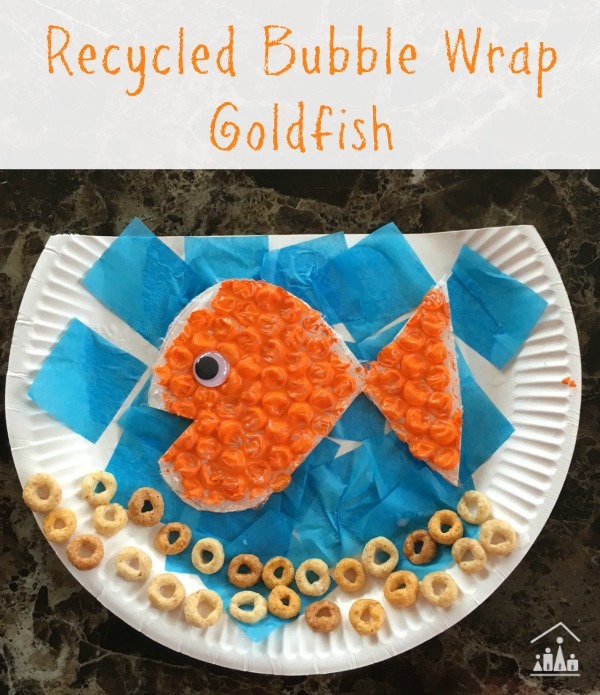 When we heard about Emma Owl’s Rainbow of Craft Ideas made from Recyclables, Bubble Wrap was the first material to cross our mind. 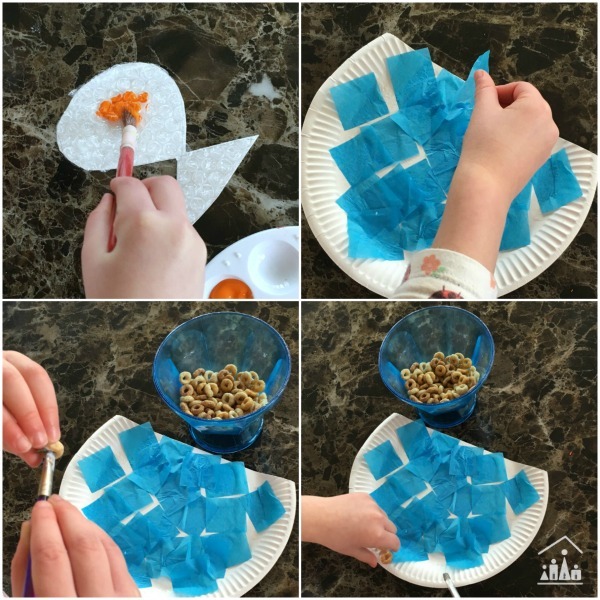 We adore coming up with new bubble wrap activities for kids, so we quickly signed up for Orange and to set work brainstorming over what new bubble wrap craft we could make. Bella is keen to own her first pet, but at aged 3, I’m not quite sure that she is quite ready for the responsibility of the real thing just yet. So we decided to make a bubble wrap goldfish together, to test out her pet caring skills. On a trip to a Fairground in Manchester during my 2nd year at university, I won a goldfish playing “Hook a Duck” and my best friend named him “Eddie”. He was the first pet that I was truly responsible for and he surpassed my expectations as a pet. He was great company when I was feeling homesick, low maintenance and very soothing to watch when I had a hangover! He lived for over 10 years and happily moved house (usually in a bucket in the front of the car with me) several times before passing away peacefully shortly before we moved over to Ireland. A goldfish makes for a perfect first pet. 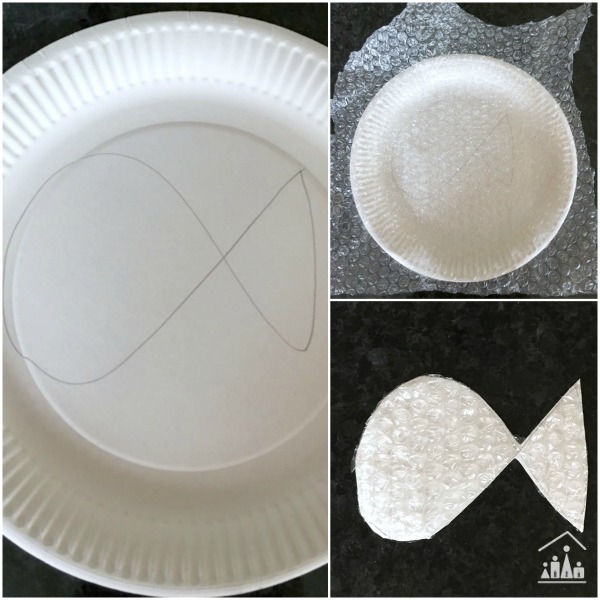 Draw the outline of a goldfish onto a paper plate. Glue down bubble wrap over the plate. Cut out your fish template. 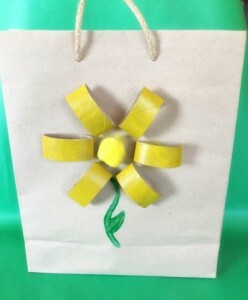 Snip off the top from another paper plate to make it look more goldfish bowl like. Fill a small dish with Cheerios. Paint the goldfish orange and leave to dry. 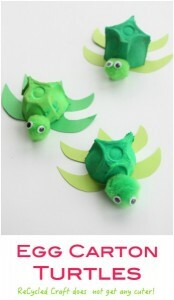 Tear or cut strips of blue tissue paper and glue them all over the paper plate. Stick down Cheerios “stones” along the bottom of the goldfish bowl. 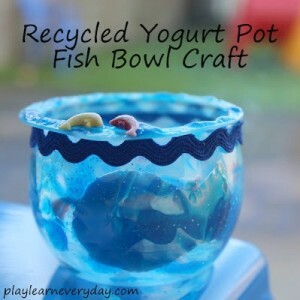 Add on a googly eye to finish off your goldfish. I don’t expect “Goldie” to last quite as long as Eddie did, but if Bella does a good job taking care of him, you never know next time the fair is in town, we might just go down and try and win her a real one.